VL Rojo Designer 78/5 is sired by VL Rojo Designer 4/128, a bull that goes back to the Designer line of cattle here at Santa Elena. This line of cattle are moderate, easy keeping, functional cattle that we have built our reputation around. Her dam is our outstanding +VL Elena 3/140, one of our top donor females. 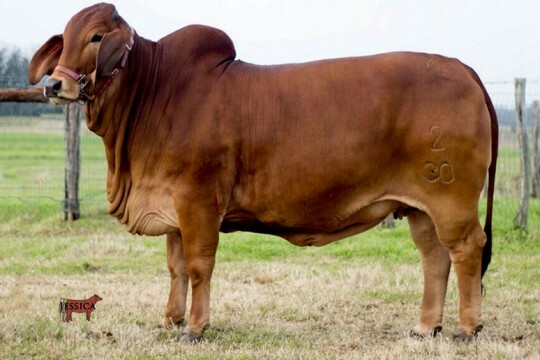 She has been a herd sire producing machine. 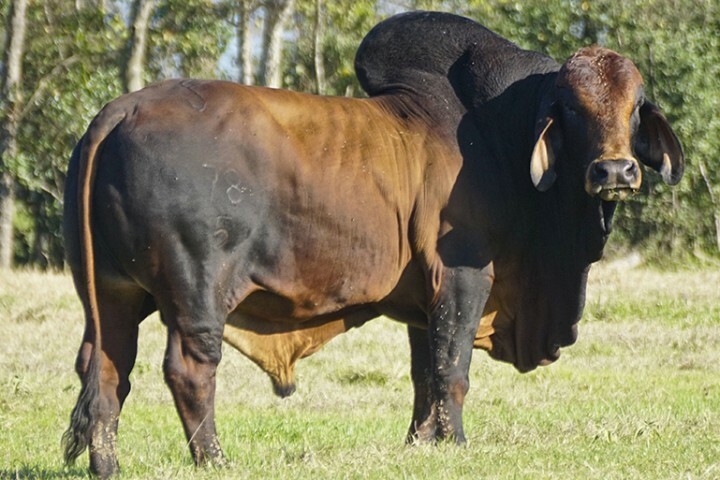 In addition to 78/5 she has produced 80/2 and 70/1 who are our top herd bulls. 78/5 production should not be underestimated. 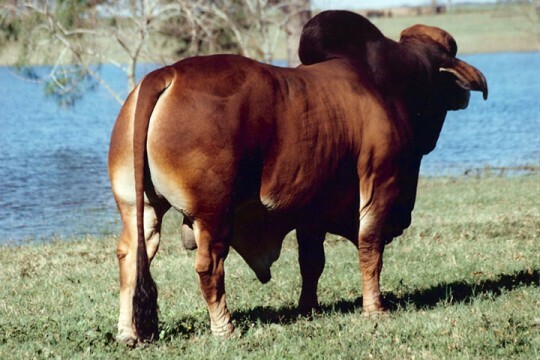 He has produced numerous champions in the red Brahman industry including VL Rojo Designer 2/75 and VL Rojo Designer 2/70. 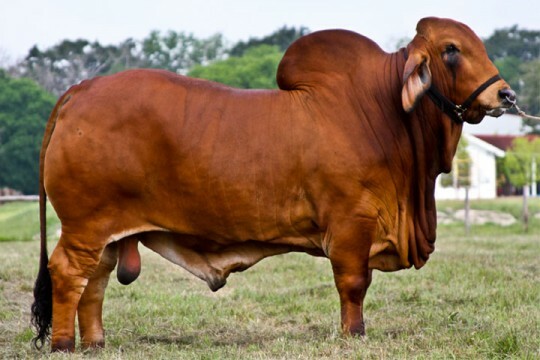 78/5 has also won numerous Get of Sires in the show ring. 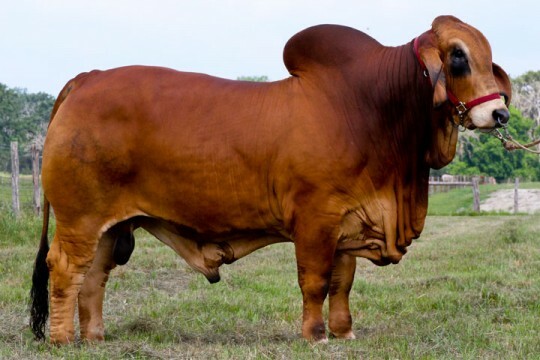 If you are looking for a bull to add beef and breed character to your genetics this one would be our pick.